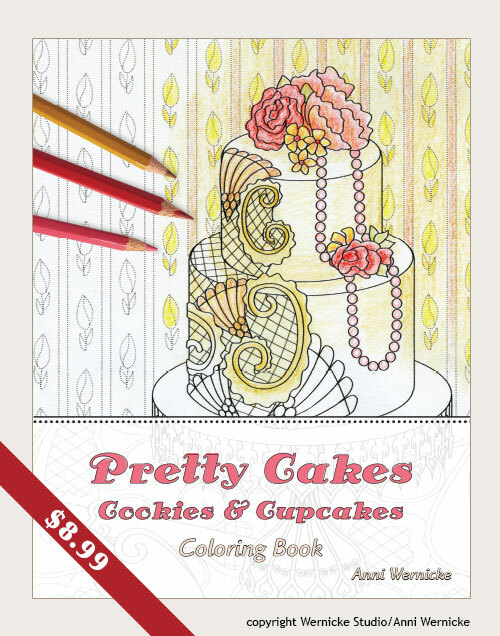 20 pages of coloring entertainment, relaxation and fun consisting of delectable cakes, cookies, cupcakes, pies and other sweet treats. Guaranteed gluten-free, zero calories and non-fattening! Available online at Amazon. 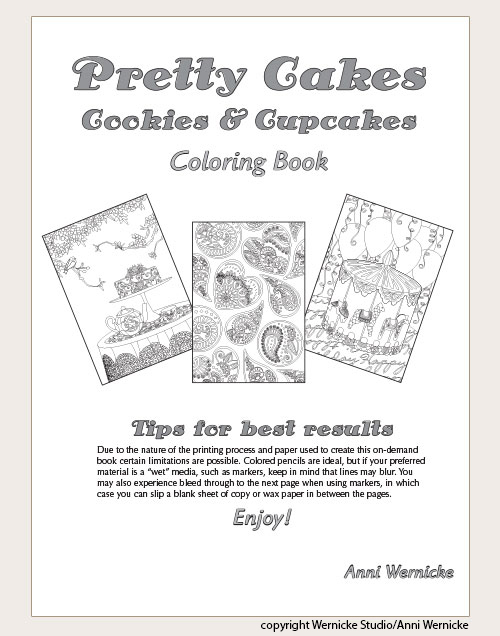 Tips for best results: Due to the nature of the printing process and paper used to create this on-demand book certain limitations are possible. Colored pencils are ideal, but if your preferred material is a “wet” media, such as markers, keep in mind that lines may blur. You may also experience bleed through to the next page when using markers, in which case you can slip a blank sheet of copy or wax paper in between the pages. Enjoy! 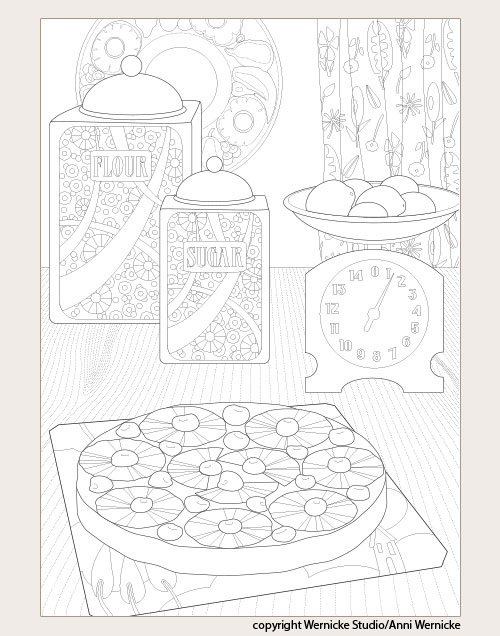 Individual design elements and some pages are available through Shutterstock.